Private boxes offer sumptuous cuisine, impeccable service and unsurpassed views across 26 race days including all five days of Royal Ascot, King George Weekend and QIPCO British Champions Day. A private box offers discretion and versatility without compromising on the unique race day atmosphere that makes Ascot a one-of-a-kind venue. Box size varies from capacities of 10, 12, 20, 24, 30, 36, 48 and 72 persons. Each box is customizable. All have a private bar and dining area, a large flat-screen television and private balcony. Menus offer formal fine dining to indulgent buffet menus with dedicated service staff. Credit facility available. Boxholders have access to a dedicated account manager. They are also invited to a number of networking events. Complimentary car park labels for every two guests are included. Parking located close to a private Box Holders entrance. If you are unable to use your box on certain days, we would welcome the opportunity to sublet it on your behalf. 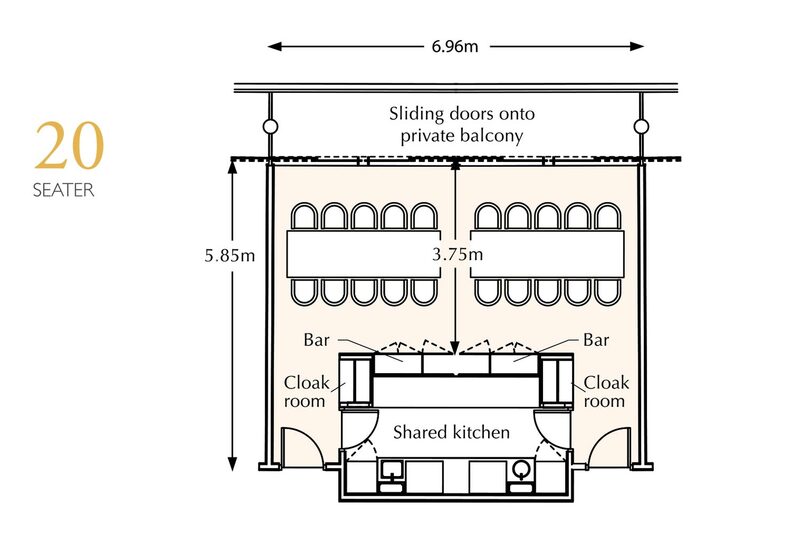 Situated on Level 2 is the Long Box which, opposite the one-furlong marker, can seat 72 for formal dining, or accommodate up to 108 for a buffet. 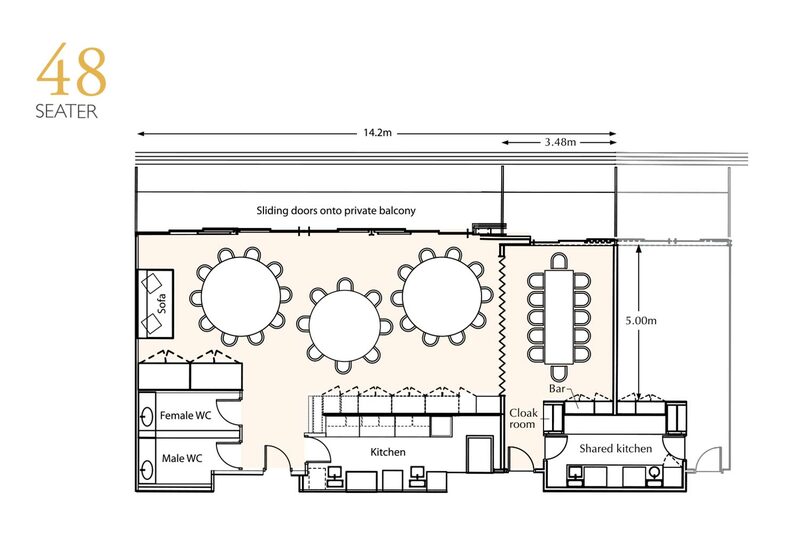 It can also be split into two smaller ‘triple’ boxes, both of which can seat 36 for formal dining or accommodate up to 54 for a buffet. Situated on Levels 3 and 5, these boxes are suitable for those with a large group and will seat 48 for formal dining or accommodate up to 72 for a buffet. It has a folding wall on one side, allowing a quarter section of the box to be used as a private anteroom or business centre. The Quad Box has a private balcony with 24 fixed folding chairs. 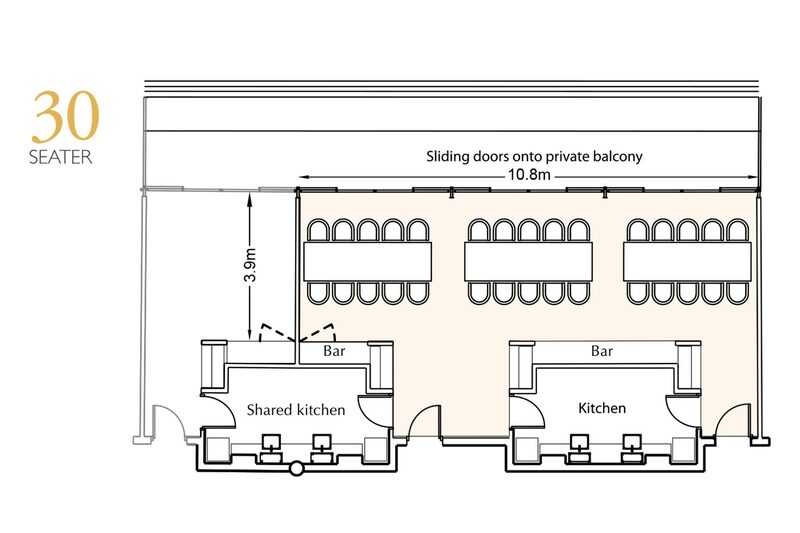 Situated on Levels 2 and 3, these boxes are suitable for those with a large group and will seat 36 for formal dining or accommodate up to 54 for a buffet. 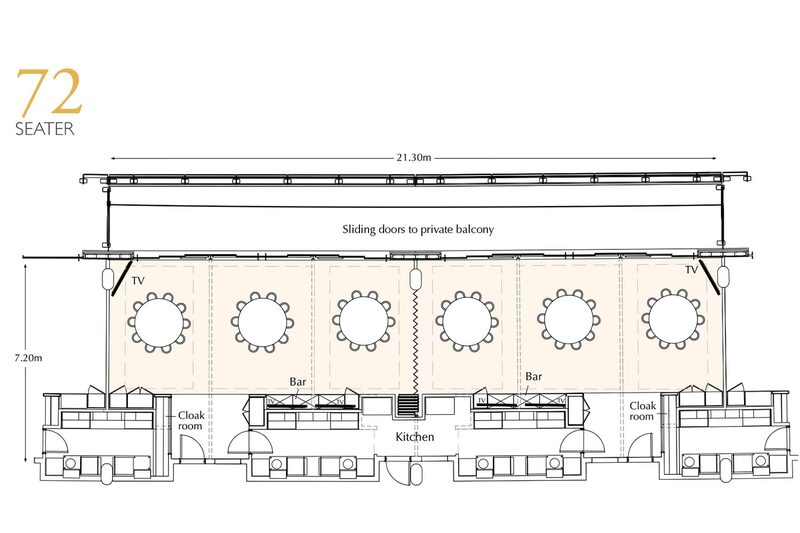 The Triple Box has a private balcony with 18 fixed folding chairs. Situated on Level 6, these boxes seat 30 for formal dining or accommodate up to 42 for a buffet. Each box has a private balcony overlooking the track, without external seating. Situated on Level 2 to Level 5, these boxes are suitable for those with a larger party. They seat 24 for formal dining or accommodate up to 36 for a buffet. 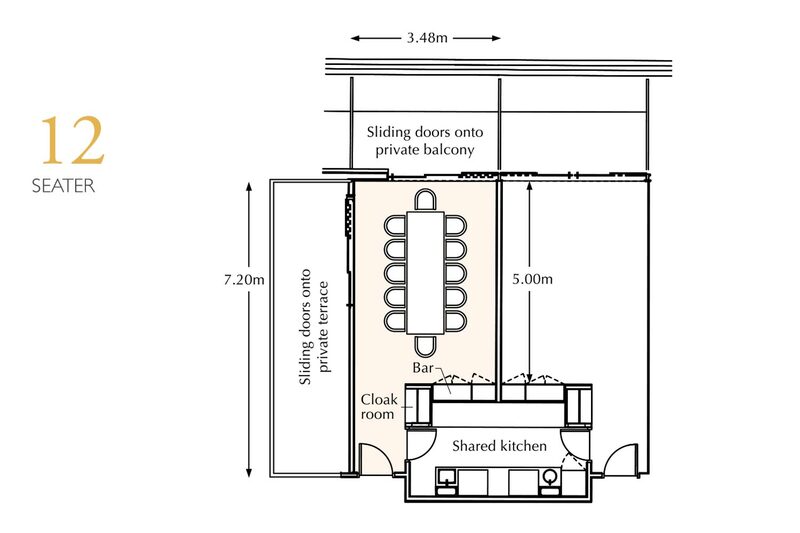 Each box has a private balcony with 12 fixed folding chairs. Situated on Level 6, these boxes seat 20 for formal dining or accommodate up to 28 for a buffet. 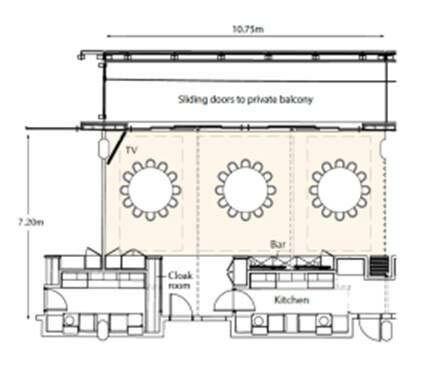 Each box has a private balcony overlooking the track, without external seating. The majority of terrace boxes seat 12 guests for formal dining or accommodate up to 18 for a buffet. 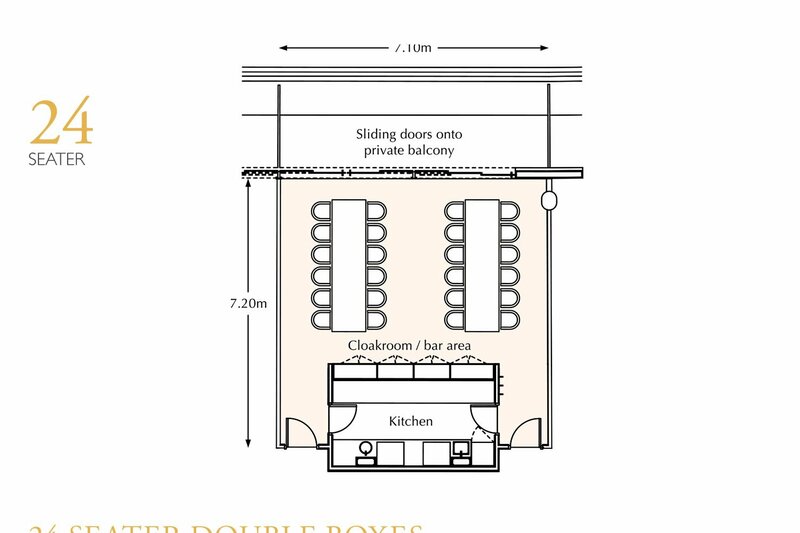 There are three double terrace boxes that seat 24 for formal dining or accommodate up to 36 for a buffet. 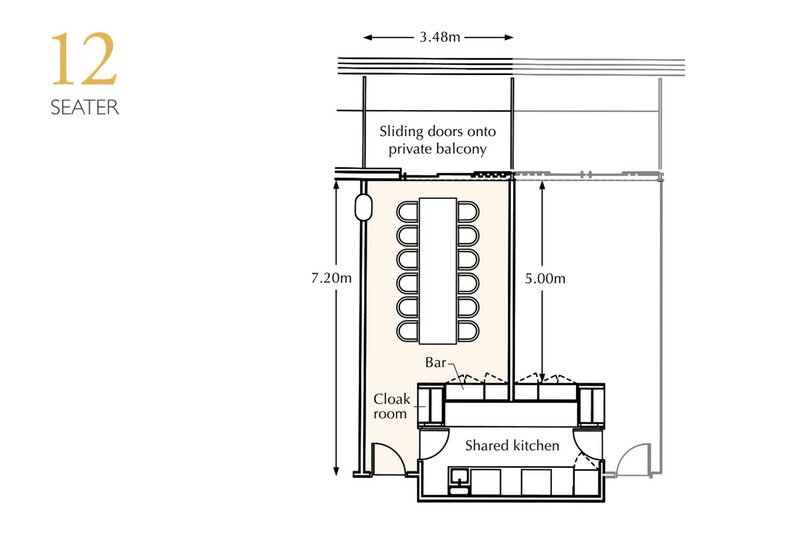 Situated at the far western and eastern ends of the stand, these specific boxes have access to a side terrace with casual seating and a private balcony with 6 fixed folding chairs. The majority of single boxes fall into this category. They seat 12 for formal dining or accommodate up to 18 for a buffet. These boxes are located on Levels 2 to 5. 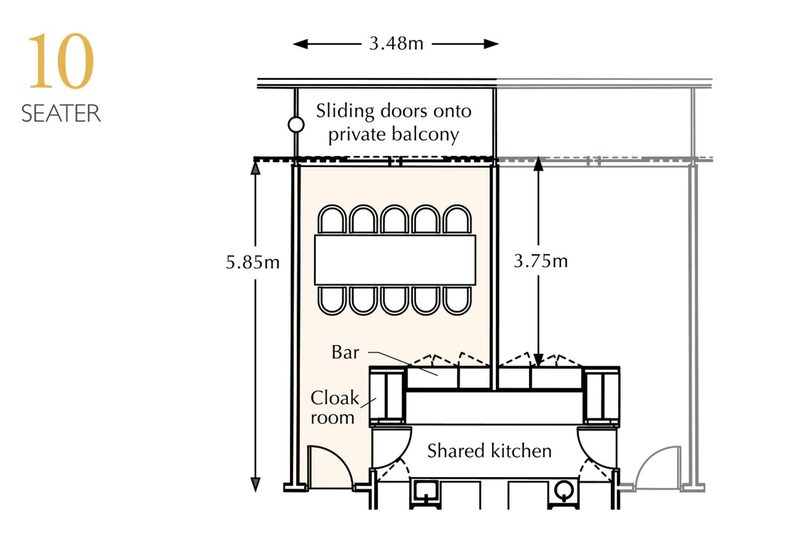 Each box has a private balcony with 6 fixed folding chairs. Situated on Level 6. They seat 10 for formal dining or accommodate up to 14 for a buffet. Each box has a balcony overlooking the track, without external seating. Guests within private boxes are kindly asked to comply to King Edward VII Enclosure dress code on Ascot Racedays. During Royal Ascot, a strict dress code applies depending on the location of your private box. Racegoers in boxes 201-215, 301-315, 401-412 and 501-506 at the west end of the Grandstand are asked to comply with the Royal Enclosure Dress Code. Guests in other boxes can choose between the Royal Enclosure or Queen Anne Enclosure dress code.